Rick Gonzales has been with the Novak Group LLC as Director of Business Development since January 2011, re-joining Mike Novak in positioning a company to become a leader in its industry niche. Rick was previously with a prior Novak company (CCI Telecom, Inc – sold to a public firm in 2005) as Vice President of Business Development, where for 10 years he directed the sales and marketing team for the corporate holding company and its five business units and subsidiaries. Rick was part of the team that helped grow CCI by 400% in 10 years by cultivating precision teaming relationships with Fortune 500 cellular telecom carriers, becoming one of the largest wireless infrastructure deployment firms in the nation. CCI was ranked for several years among the “Top 15 Telecommunications Contractors” in the nation by Engineering-News Record as well as among the “Top 50 Largest Private Companies in San Antonio” by the San Antonio Business Journal. He brings 24 years experience in business development and general management in a broad range of sectors. Most recently, Rick was an entrepreneur, having founded Aragon Spanish Academy with his wife in 2004. San Antonio’s first Christian-based Spanish immersion preschool, Aragon educated nearly 1,000 children, 1 to 8 years old, in the Spanish language over a seven year period. During this time, Rick also served for nearly three years as Director of Development for Child Advocates San Antonio (CASA). Seeing the looming drop in corporate and foundation giving due to the recession, he implemented a system for replacing this revenue by building CASA’s individual donor base. The strategy more than doubled the agency’s revenue from individual donors in less than two years, helping CASA continue to meet it revenue goals. 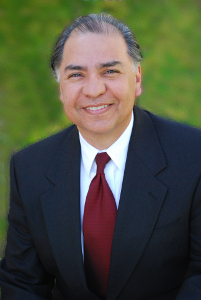 In the early 1990′s, as President and CEO of the San Antonio Hispanic Chamber of Commerce, Rick ran the oldest and one of the largest Hispanic Chambers in the nation. He earned a Bachelor’s in International Studies from Austin College in Sherman, Texas. © Copyright 2019 Novak Group LLC | All rights reserved.